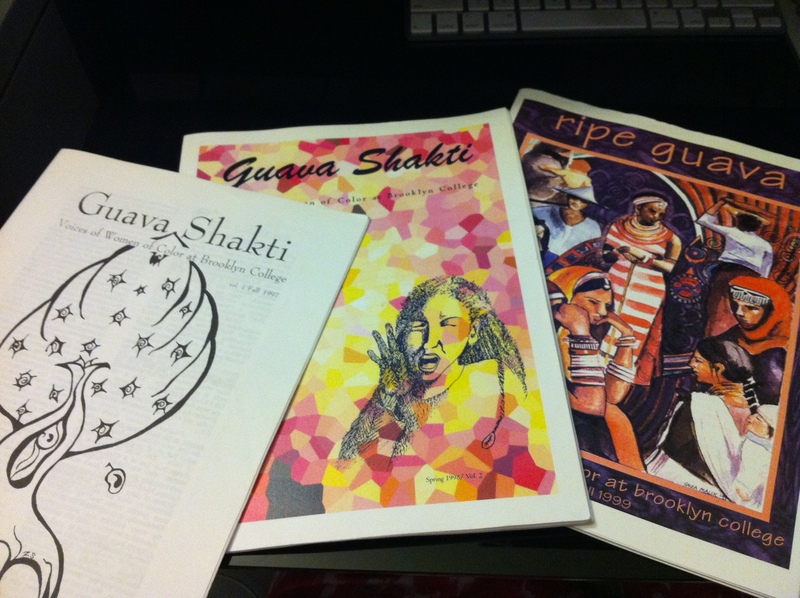 From Zine to Indie Press: How Many Books Can a Ripe Guava SPAWN? I’m packing up these beauties to take over to the Brooklyn College Library Zine Collections Archive. Earlier this week Alycia Sellie from the library contacted Robert Booras and I about submitting our zines. Although, at first I thought I had lost my old zines in my move — I was ecstatic after finding this humble three volume zine in my special box of lovely things. Thumbing through the paper, now softened a little with time, I remembered the women-power it required to get these zines filled with talented writers, edited and distributed. In the early clumsy days of email and some strange looking websites put together by Computer Science majors, Guava had managed to get the zine read in Singapore and studied in a class in Senegal. The first edition was put together by hand and that is my nascent artistic hand that illustrated the cover. For the most part we used Elmer’s Rubber Cement to decorate the articles with images of female-power. We ended up getting grants to have the 2nd and 3rd volumes designed by a graphic designer and printed in color. The list of contributors includes: Annemarie Jacir, Sharbari Ahmed, Lisa Suheir Majaj, Suheir Hammad, Hayan Charara, Pauline Kaldas, Bruna Mori, Aileen Cho and my dear friend Sabrina Margarita Alcantara (Bamboo Girl) the list goes on. The Editorial Board comprised of: Danielle Elliott, Habiba Ibrahim and Simone Williamson. What a beautiful college experience to have worked with these women, read together and perform our work in the safety of sisterhood. 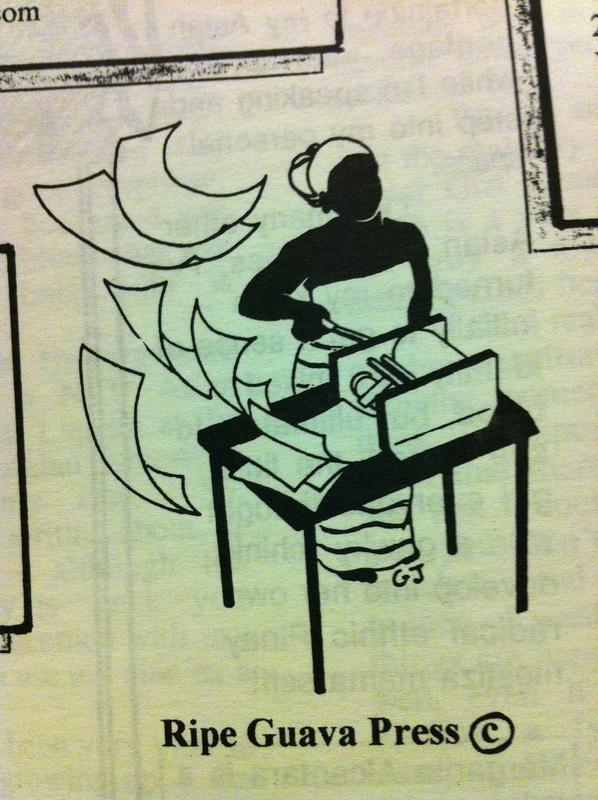 We even had Women of Color Clip Art! SPAWN Zine by Robert Booras added more to the line up of future star poets and writers. What a great marker in time to have these print ephemerals and to have the opportunity to have them archived. This also marks the 11th year anniversary of UpSet Press and a friendship that happily endured and evolved to birth more collaborations, communities and celebrations around the mystical mythics of words. Full Circle: UpSet Press and Alumni Zinesters! Eid Mubarak! Hayit Muborak! Akhtar Di Mubaarak Sha!